Hi! 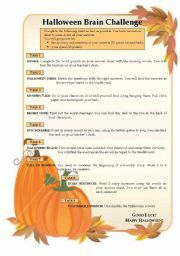 I hope my worksheets are useful for you as much as yours are for me! This is a wonderful website for teachers! Thank you for sharing! 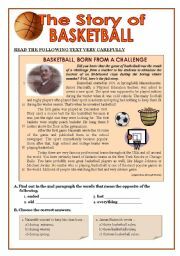 This is a test a gave my classes some time ago about the origin of basketball. 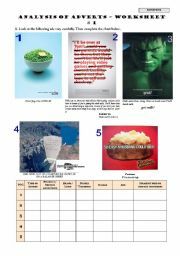 Reading comprehension activities (opposites, multiple-choice, questions); language work on present perfect and for/since/yet; passive voice; vocabulary work and writing on sports (4 pages). Pictures from Microsoft clipart. 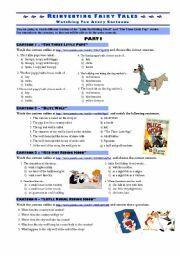 Worksheet based on different versions of the story. Language work: past simple tense. 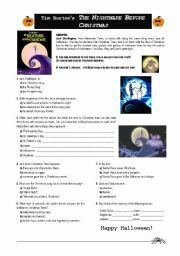 Worksheet to be completed after watching the movie Tim Burton�s The Nightmare Before Christmas. Great for Halloween! 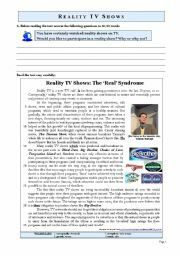 Reading comprehension, vocabulary work and grammar based on a text about Reality shows. Writing activities included. 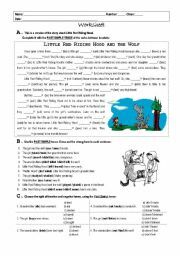 I have just completed this worksheet to use in today�s class! It is based on the video available on the History Channel (http://www.history.com/topics/st-patricks-day/history-of-st-patricks-day/videos/bet-you-didnt-know-st-patricks-day) or you can find it at http://vimeo.com/59160233 as well. The key is included. 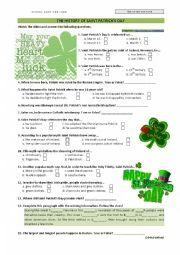 Happy Saint Patrick�s Day! Worksheet based on the analysis of five different ads. You can use the table for other examples of ads. 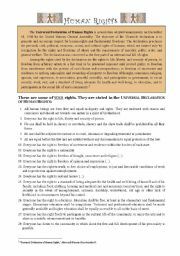 Reading activity based on an article about the Declaration of Human Rights. Students match the human rights with situtations in order to test their comprehension. Interactive exercise based on a TV commercial which can be found at YouTube. 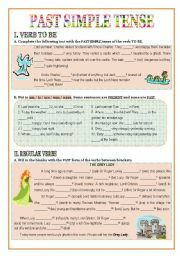 Students review the Past Simple tense by clicking on the correct verb forms. They must have the sound on � correct answers are applauded!